The galaxy of warrants trading on the Toronto Stock Exchange ($TSX) and the Toronto Venture Stock Exchange ($CDNX) consists of only 167 stars (i.e. constituents) in total as of May 31st,2011 of which only 40 are associated with 34 commodity-related stocks that have sufficient brightness (i.e. 24+ months duration) to warrant (the pun is intended!) the attention of earthly investors and make up the entirety of my proprietary Commodity Company Warrants Index (CCWI). See here (1) for details. Of those 40 LT warrants only 24 are associated with just 20 gold and silver companies and they make up the entirety of my select, and proprietary, Gold and Silver Warrants Index (GSWI). No wonder no one knows anything about this type of investment when it is restricted to only 14% of all long-term warrants currently trading and just 20 companies in total! Warrants are securities which gives the holder the right, but not the obligation, to acquire the underlying securities at predetermined (i.e. exercise) prices and within a specified period of time (i.e. term or duration). (** Pink Sheets is the registered name for a privately owned company that operates a centralized quotation service that collects and distributes market maker quotations for securities traded in the over-the-counter market. The service is named for the color of the sheets on which the National Quotation Bureau originally distributed bid and ask quotations for OTC securities. In 1999 Pink Sheets introduced its Electronic Quotation Service, which provides real-time quotes for OTC equities and bonds. The .pk behind a stock simply means the stock in question is traded on the pink sheets. It is a 5-alpha symbol ending in ‘F’ for Foreign). b) You could do your own due diligence of each of the 20 companies and decide which company or companies are to your liking and purchase their associated warrants accordingly. d) You could do b) or c) above and then, and only then if your primary intent is to hopefully be in a position to exercise your warrants and acquire their associated stock at some future date, finally restrict your purchases to those warrants that provide the best value related to their future leverage potential based on specific appreciation of their associated stock and the number of months duration remaining for the warrants under consideration. 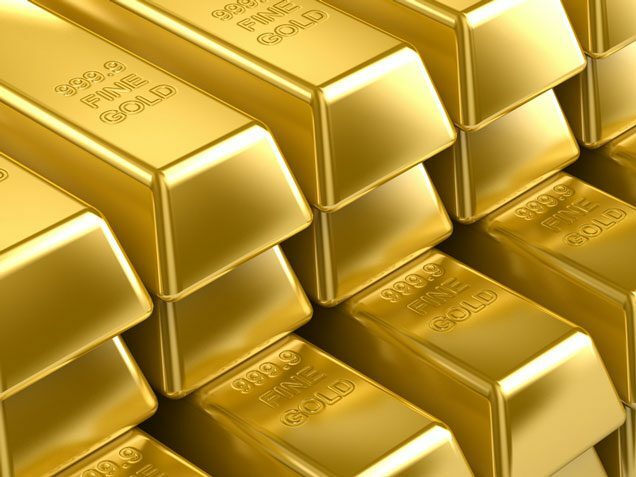 To learn why you should buy the long-term warrants of commodity-related (and particularly gold and silver) companies and exactly how to go about doing so please read this (2) article. Now that the ‘secret’ is out you can’t help but agree that warrants warrant your serious consideration – and now you know which ones to give consideration to and what factors should be taken into consideration before placing an order. Previous Will a Black Swan Event Cause the S&P 500 to Drop by 40%? Next Take a Look: Economic Stagnation is EVERYWHERE!